According to United States Navy veteran and Auburn professor David DiRamio, Ph.D., the first wave of research about student veterans – particularly those entering colleges and universities on the Post-9/11 G.I. Bill – focused on their transition from military service to civilian life. This research also showed the importance of peer connections and support services on campus for this unique population. To advocate for the higher education community to support this unique population, even in the face of declining enrollments. Following DiRamio’s helpful introduction, various scholars contribute ten chapters in the general areas of “Experiences and Perspectives,” and “Programs and Academic Outcomes.” Topics in this first section include inquiries into opportunities and inequities; engagement patterns of disabled student veterans; and mental health and academic functioning of service members in higher education. 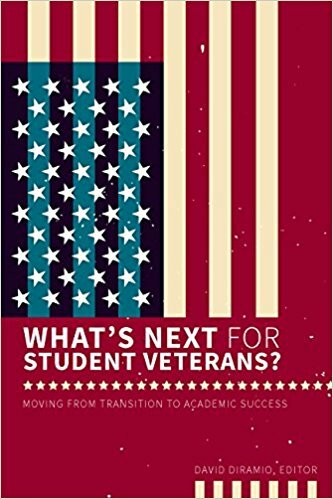 The second section explores such topics as promising institutional practices; peer support for veterans; progress toward degree attainment; academic outcomes; student attrition; and essential practices ( a kind of case study). Exploring the nexus of traumatic brain injury, mental health, and substance abuse.